The secret to fuller & realistic-looking eyebrows. Microblading is a semi-permanent tattooing technique that creates hairlike strokes to fill in sparse or thinning brows. 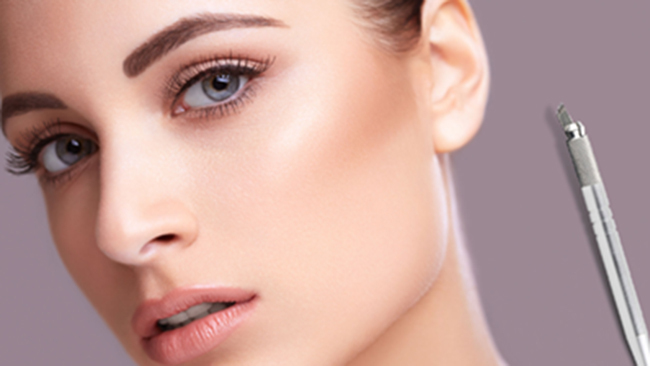 Unlike a traditional tattoo, which is permanent, the coloring from microblading may last for up to 3 years and the end result are a pair of natural looking and defined eyebrows. We ask for at least 24 hours notice (text is preferred), as a courtesy, if you need to cancel or reschedule your appointment. We are more than happy to reschedule your appointment and apply your deposit towards your appointment if you give at least 24 hours notice. We understand that unplanned circumstances can occur and you may need to cancel or reschedule your appointment. If you reschedule or cancel appointment less than 24 hours prior to your appointment time your deposit is non-refundable and a new deposit will be required to book any future appointment.